UT-Austin police on stabbing spree: "This was not a conspiracy"
The junior biology major who stabbed four people on the University of Texas at Austin campus, killing one, was suffering from mental illness and didn't seem to be targeting anyone in particular during his Monday afternoon spree, police said Tuesday. "This was not a conspiracy," said University of Texas Police Department Chief David Carter. "This was not a person that had a vendetta against any one particular group." Carter said the student, Kendrex White, had recently been involuntarily committed at a hospital in another city. Carter said he didn't know what specifically was ailing White, "but he was obviously suffering from a particular issue." Rumors had swirled across campus and the internet that White was targeting people because of their race or because they were members of a fraternity. Members of UT-Austin's Greek life community were particularly worried, given that several fraternity houses had been tagged with graffiti in recent weeks. Carter said there was no evidence to suggest a particular motive. "None of the victims in the case was wearing anything that would indicate they were members of a fraternity," Carter said. Instead, Carter described White as acting calmly but randomly. Investigators have interviewed more than 35 witnesses, some of whom said they first saw him in a student activity center in the middle of campus. He exited the building and walked south, where he kicked a female student out of the way and stabbed his first victim, police said. He then kept walking south and stabbed a student sitting at a picnic table in the back of the head. Then he stabbed two more people in the general vicinity, police said. Police arrived within about a minute of the first 911 call. By the time officers showed up, White had walked into a dormitory, where he was arrested, police said. He was booked at the Travis County jail, charged with the slaying of one student. UT-Austin administrators said the student who died was Harrison Brown, a freshman who had a passion for music. UT-Austin President Greg Fenves said he spoke with Brown's mother and brother on Tuesday. "It is an incredibly difficult time for them — unimaginable," he said. "His family will never be able to Harrison play and sing again. Our hearts are breaking and we are deeply, deeply saddened." The stabbing death comes just over a year after the slaying of another UT-Austin student on campus, Haruka Weiser. Her death was said to be the first killing on campus in 50 years. "It is hard to comprehend that in 50 years there had never been a violent murder on our campus, and to have two in one year is simply unexplainable," Fenves said. Police said they don't know why a junior biology major stabbed four other students on the University of Texas at Austin campus, killing one. 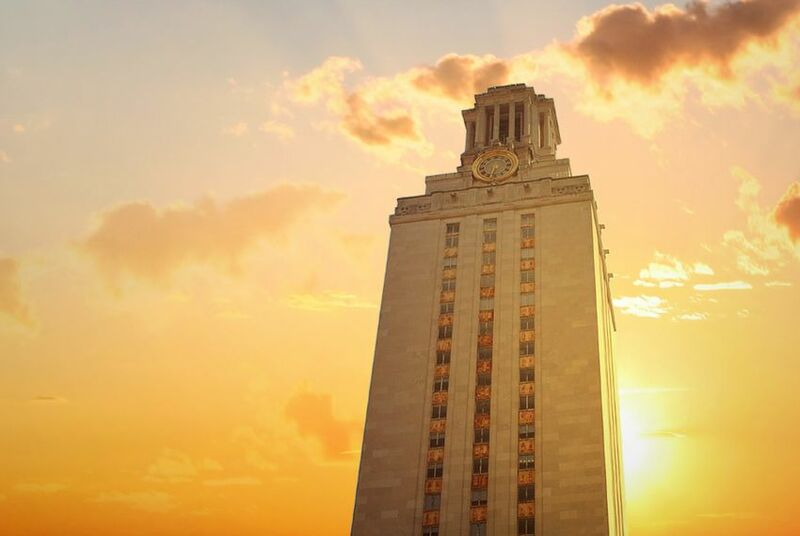 After the death of Haruka Weiser, the Texas Department of Public safety called for more security on the UT-Austin campus.